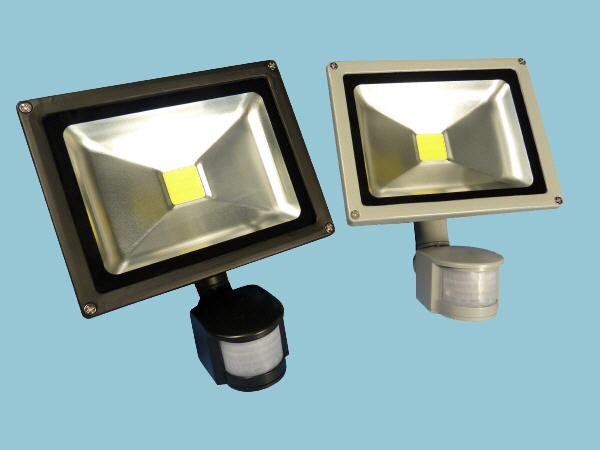 The LED 10W PIR floodlight is the equivalent of traditional HQI/SON floodlights. Made of heavy duty cast aluminium and having an IP44 rating makes them weatherproof and suitable for any installation. They are outstandingly bright, created by single LED chip technology with a lumen output of up to 850lm and an impressive 40,000 hours of lamp life. They come with a stirrup bracket for easy fitting.